1831 ~ 1838: born in Ôsaka. He is the son of Nakamura Tomishirô, first a disciple of Nakamura Tomijûrô II then a theater tôdori. He starts his career at an early age and plays under the names of Nakamura Tamatarô I, Nakamura Komasaburô and Nakamura Masanosuke I. 1838: he is adopted by Nakamura Utaemon IV and they go together to Edo. 3rd lunar month of 1839: he takes the name of Nakamura Fukusuke I at the Nakamuraza, playing in the hengemono "Hana Goyomi Iro no Showake". 4th lunar month of 1839: Fukusuke plays at the Nakamuraza the role of Koben in the drama "Hime Komatsu Ne-no-Hi no Asobi". 1st lunar month of 1843: premiere at the Ichimuraza of the dance "Kashiragaki Ise Monogatari" (commonly called "Noriaibune"), which is staged within the new year drama "Kioi Uta Soga no Hanadashi"; Fukusuke is one of the seven dancers [more details]. 7th lunar month of 1847: Fukusuke plays at the Kawarasakiza the role of Ise no Saburô in the drama "Yoshitsune Senbon Zakura". 12th lunar month of 1849: Nakamura Utaemon IV and Fukusuke settle in Ôsaka. 2nd lunar month of 1852: his adoptive father Nakamura Utaemon IV dies; Fukusuke goes back to Edo. 7th lunar month of 1852: Fukusuke plays at the Ichimuraza the role of Kotarô Nobuyuki in the drama "Meiyo Ninseiroku". He also plays the 5 roles of the hengemono "Aki mo Mada Mebae". 9th lunar month of 1852: the play "Sesshû Gappô-ga-Tsuji" is staged for the first time in Edo, at the Ichimuraza; Fukusuke plays the role of Shuntokumaru [casting]. 5th lunar month of 1853: Fukusuke plays at the Ichimuraza the roles of Satô Tadanobu and the fox Genkurô in the classic "Yoshitsune Senbon Zakura". 9th lunar month of 1856: Fukusuke goes back to Edo and achieves a great success at the Nakamuraza, playing the leading roles of the 6-roles hengemono "Ise Meisho Wazato Iezuto". 5th lunar month of 1857: Fukusuke plays at the Moritaza the role of Matahei in the drama "Keisei Hangonkô"; the role of otoku is played by Ichikawa Danzô VI. 1st lunar month of 1859: premiere at the Nakamuraza of the Nagauta-based sanbasômono "Kotobuki Shiki Sanba"; Fukusuke plays the role of Sanbasô [casting]. 5th lunar month of 1859: Fukusuke plays at the Moritaza the role of Danshichi Kurobê in the drama "Zôho Natsu Matsuri Otoko Kagami". His stage partners in the roles of Tokubê, Sabu and Otatsu are Ichikawa Kuzô III, Ichikawa Danzô VI and Arashi Hinasuke VI. 7th lunar month of 1860: Nakamura Fukusuke I takes the name of Nakamura Shikan IV at the Nakamuraza, where he plays the roles of Shihei and Shôgetsuni in the drama "Tenmangû Megumi no Kamimagaki" and Sanbasô in the dance "Na mo Kaete Shosa no Mitsugumi", and at the Moritaza, where he plays the roles of Gotohei in the drama "Yoshitsune Koshigoejô". 2nd lunar month of 1861: premiere at the Ichimuraza of the dance "Chigiru Koi Haru no Awa Mochi"; Shikan plays the role of an awa mochi maker [casting]. 3rd lunar month of 1862: premiere at the Ichimuraza of Kawatake Shinshichi II's drama "Aoto Zôshi Hana no Nishikie" (commonly called "Shiranami Gonin Otoko"); Shikan plays the role of Nangô Rikimaru [casting]. 4th lunar month of 1864: premiere at the Moritaza of Kawatake Shinshichi II's drama "Wakaba no Ume Ukina no Yokogushi" (commonly called "Kirare Otomi"); Shikan plays the role of Genzaemon [casting]. He also plays the role of Ishikawa Goemon in the drama "Sanmon Gosan no Kiri"; the role of Mashiba Hisayoshi is played by Sawamura Tosshô II. 11th lunar month of 1871: Shikan plays the roles of Tokaiya Ginpei, Taira no Tomomori, Kajiwara Kagetoki and Yokawa no Zenji Kakuhan in the drama "Yoshitsune Senbon Zakura", which is coproduced by both the Nakamuraza and the Ichimuraza. January 1875: premiere at the Shintomiza of Kawatake Shinshichi II's drama "Ôgi Byôshi Ôoka Seidan" (commonly called "Ten'ichibô"); Shikan played the role of Matsudaira Izu-no-Kami [casting]. June 1876: premiere at the Shintomiza of Kawatake Shinshichi II's drama "Hototogisu Date no Kikigaki"; Shikan plays the roles of Matsugae Tetsunosuke, Kido Kahei and Ôe Hiromoto [casting]. March 1880: tour in Miyajima; Shikan plays the role of Matahei in the drama "Keisei Hangonkô". May 1881: premiere at the Saruwakaza of Kawatake Shinshichi II's drama "Ôsakazuki Shusen no Tsuwamono"; Shikan plays the role of Lord Naitô Kii-no-Kami Nobumasa [casting]. June 1881: premiere at the Shintomiza of Kawatake Shinshichi II's jidaimono "Youchi Soga Kariba no Akebono" [casting]; Shikan plays the role of Wada no Yoshimori. November 1885: premiere at the Shintomiza of Kawatake Mokuami's Nagauta-based matsubamemono "Funa Benkei"; Shikan plays the role of the captain of the boat Mihodayû [casting]. February 1886: Shikan plays at the Ichimuraza the role of Shunkan in the drama "Heike Nyogo no Shima". His stage partners are Nakamura Fukusuke IV (Chidori), Kataoka Gadô III (Tanzaemon Motoyasu) and Seki Sanjûrô IV (Senoo Tarô). May 1886: Shikan plays at the Ichimuraza the roles of Satô Tadanobu and the fox Genkurô in the drama "Yoshitsune Senbon Zakura". October 1887: premiere at the Shintomiza of Kawatake Mokuami's matsubamemono "Momijigari"; Shikan plays the role of the Mountain God [casting]. May 1888: première at the Chitoseza of Kawatake Shinshichi III's drama "Kagotsurube Sato no Eizame"; Shikan plays the role of Hyôgoya Seibê [casting]. September 1889: première at the Chitoseza of Kawatake Shinshichi III's Tokiwazu-based dance-drama "Kumo no Ito Oyozume Banashi"; Shikan plays several roles, including the Spirit of the Spider (kumo no sei) and Hirai Yasumasa [more details]. 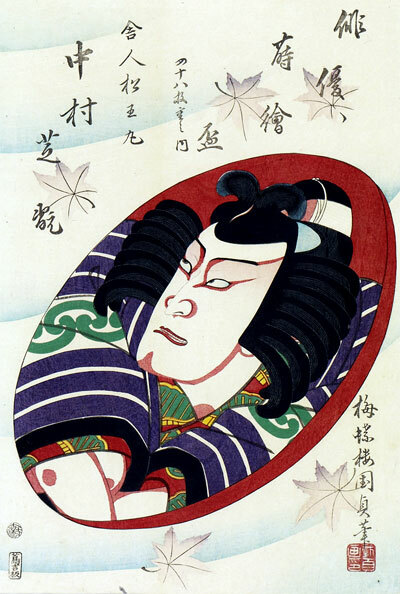 October 1895: Shikan plays at the Asakusaza the role of Gotohei in the drama "Yoshitsune Koshigoejô". His stage partners are Ichikawa Ennosuke I (Izumi Saburô) and Nakamura Shikaku I (Yoshitsune). February 1896: Shikan plays at the Miyakoza the role of Ishikawa Goemon in the drama "Sanmon Gosan no Kiri"; the role of Mashiba Hisayoshi is played by Ichikawa Kuzô III. October 1898: Shikan plays at the Engiza the role of Yokawa no Zenji Kakuhan in the drama "Yoshitsune Senbon Zakura".